From the mis-matched cabinetry, to the floral wallpaper border, to the hot air balloon accent tiles, the former state of this master bathroom held no relationship to its laid-back bachelor owner. Inspired by his travels, his stays at luxury hotel suites and longing for zen appeal, the homeowner called in designer Rachel Peterson of Simply Baths, Inc. to help him overhaul the room. Removing walls to open up the space and adding a calming neutral grey palette left the space uninterrupted, modern and fresh. 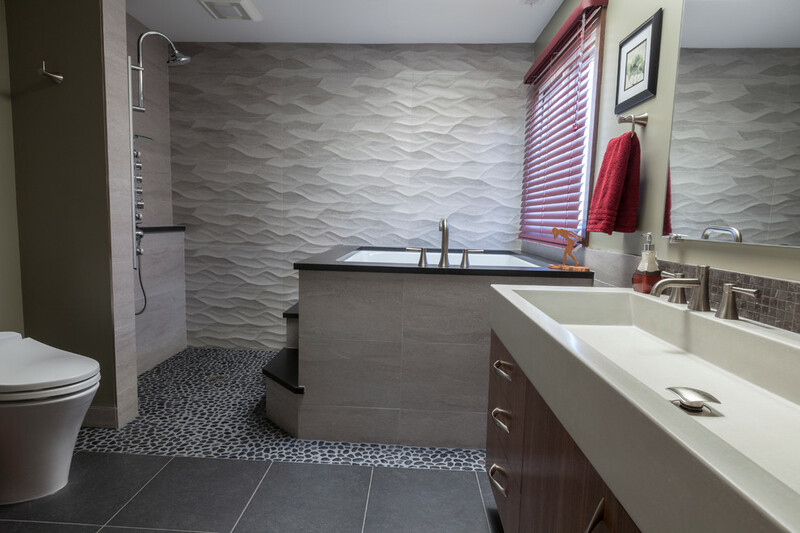 To make better use of this 9x9 bathroom, the walk-in shower and Japanese soaking tub share the same space & create the perfect opportunity for a textured, tiled accent wall. 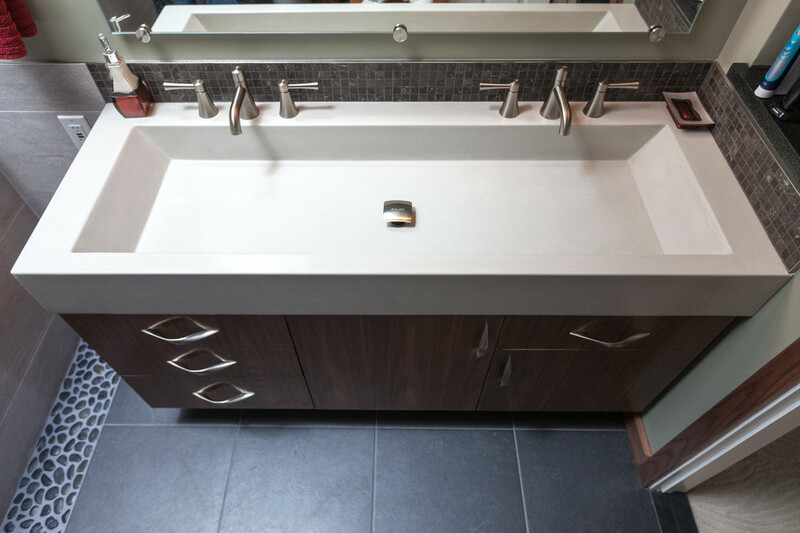 Meanwhile, the custom concrete sink offers just the right amount of industrial edge. The end result is a better compliment to the homeowner and his lifestyle & gives the term "man cave" a whole new meaning.